Due to the economic realities of today’s business landscape, there’s a lot of warehouse space that’s sitting unused. Maybe it was an expansion that didn’t go as planned, maybe it’s a warehouse you don’t use anymore, maybe it’s even an empty warehouse you wound up acquiring that you’re not sure what to do with. Whatever the cause, warehouse managers are turning to increasingly imaginative solutions to make their empty warehouse space profitable and useful. 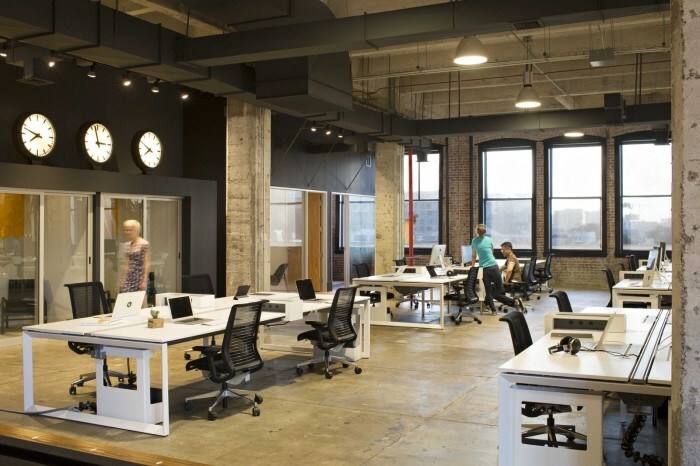 One of the most common solutions in this day and age is to convert warehouse space to office space to help keep the building occupied and in use. The term “office space” can mean a lot of things to a lot of people, and trying to design a one-size-fits-all space will be detrimental to both your office design and your potential tenants. Take the time to look into other similar spaces in your neck of the woods and see what areas are being underserved for business—are rentable meeting spaces becoming popular where you are? Are there a lot of small startups that could use a temporary space until their employees or product lines start to expand? Will the residents be permanent or temporary? Take all of these factors into account before you make any big decisions as to what role your new space will serve. In many areas, a property zoned for industrial use may need to be rezoned by the local zoning board before it can become an office space. This will vary depending on your state (or even what city you’re in) but before you start figuring out how economically viable this new office space will be, you’ll want to make sure it won’t require additional paperwork or rezoning from the city to get up and running. Chances are, if you have leftover warehouse space, there may still be some industrial shelves that need to be moved around. See if these can be better used back in your main warehousing area (or even in another warehouse you operate), or sell them if needed. Once the space is clear, figure out what kind of office furniture and office storage you might need. Reflect back to our first tip and see what sort of space you’re setting up—will you be better off putting in conference tables or should you set up rows of individual computer desks for the new staff as they come in? A lot of warehouses, even ‘heated’ warehouses, aren’t exactly designed for the long-term residency of office work. Most of the time the fault lies with the sort of materials being used to construct them, such as steel panels or bare cinder blocks. To prevent your HVAC systems from working overtime, review potential sources of heat loss in your new office space and insulate/reinforce seams where needed. This will come in handy as a long-term investment for your warehouse as well, as the modifications may serve you well in the event you need to sell the property. Finally, even after your tenants move in, you’ll need to get ready to play the role of landlord. Regularly solicit feedback from your new officemates and get a better idea of the things they face and what could be improved—bad wi-fi signals, a draft, cramped parking—and work to resolve these issues as quickly as possible. It will instill a better relationship with your tenants and help you find new clients as needed.